Soft, bloomy-rind cheeses have been made for centuries on the farms of Ile-de-France and the Rhone valley. Their creamy texture and mild flavor have made them popular throughout the world. This type of cheese is made from raw or pasteurized cow's, goat's, or ewe's milk. These cheeses are not pressed or cooked, but simply ripened naturally, with only salt and natural mold cultures. 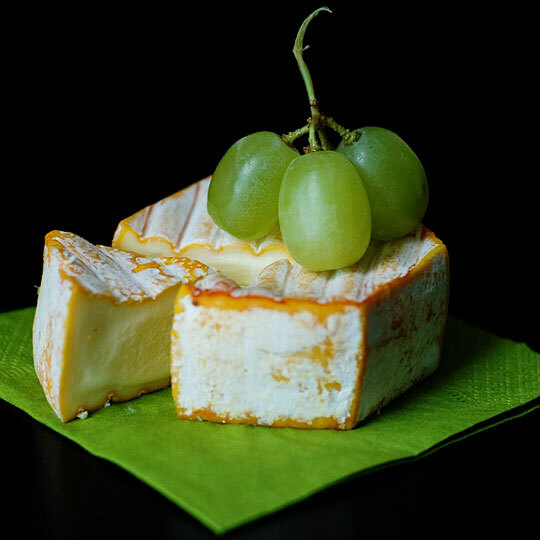 Sprayed onto the rinds or mixed into the milk, these bacteria develop into a light, white mold on the rind during ripening, giving this category its name. Like fresh cheeses, these have a short shelf life. The rich cheeses in this category are characterized by soft interiors and delicate but distinctive flavors. 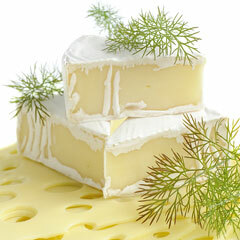 Double and triple creme cheeses, with a minimum 60% or 75% fat content respectively, are even more decadent. The cream mixed into these cheeses gives them a buttery flavor and luxurious, silky texture. Yet, their simplicity and accessibility makes this type of cheese as much at home with a simple peasant loaf as with a glass of expensive red wine. Soft, bloomy-rind cheeses stand on their own with little embellishment. While they are sometimes studded with dried herbs or wrapped in chestnut leaves, they are usually presented in simple, elegant wheels or wedges. They are often given a starring role on a cheese board, served with bread, fruit, or a complementary glass of wine. The rinds are generally eaten, providing a contrast of flavor and texture to the creamy interior. The most famous examples of soft, bloomy-rind cheeses are indisputably Brie and Camembert. The familiar, thin wooden box used to store and ship wheels of these soft cheeses was invented in 1890, allowing these cheeses from France to be enjoyed internationally. 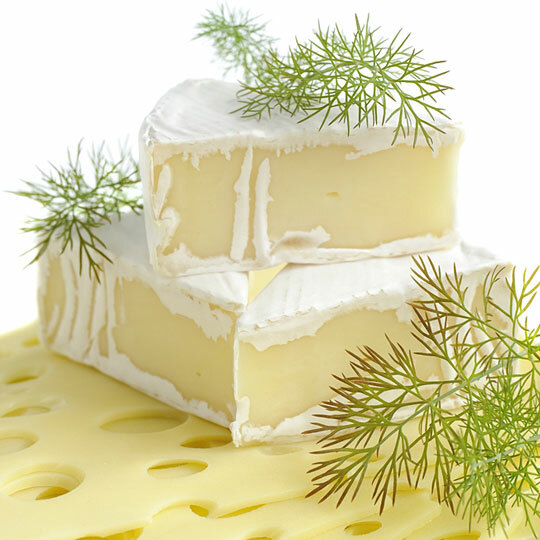 Reny Picot is an American specialty cheese maker, predominantly producing Brie and Camembert. Marin French Cheese is an award-winning cheese maker producing hand-crafted artisan soft-ripened cheeses since 1865. Gillot Creamery is a French cheesemaker that offers both factory and premium hand-ladled Camembert.